This week, Malaysia joined the ever-growing group of states which have considered inviting Sudanese President Omar al-Bashir to visit (note: it is now apparent he will not visit – see below). With the exception of a tiny minority of world leaders, this would be just another state visit by just another head of state. But Bashir, despite his own protestations and those of his supporters, is not just another head of state – he is a leader wanted by the ICC for the Court’s trinity of crimes: genocide, war crimes and crimes against humanity. Regardless of whether or not Bashir is guilty of organizing atrocities in Darfur, he has been labeled as genocidal by the ICC and its advocates. This labelling aspect of international criminal justice, while rarely analyzed, is fundamental to its purpose. Politically, the perception or popular belief that a leader is guilty of committing atrocities may be just as important to the court as holding trials and achieving verdicts. Labelling certain individuals as international criminals is intended to have numerous effects. It is meant to spread the popular perception of such individuals as illegitimate. Most importantly, it is intended to marginalize and isolate individuals who otherwise may benefit from a negotiated settlement. The process and consequences of marginalization through ICC investigations and arrest warrants is not uncontroversial. Advocates argue that ICC indictments can isolate leaders both domestically and internationally, in large part by raising the costs of associating with individuals suspected of committing acts which violate the ‘conscience of humanity’. As mentioned previously, labelling individuals as international criminals is also an attempt to make leaders unfit for peace negotiations. 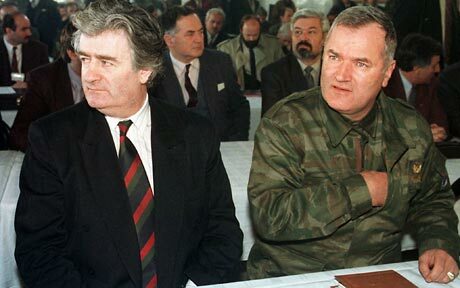 Champions of international criminal justice point to the marginalization of Radovan Karadzic and Ratko Mladic during the Bosnian crisis, barring them from participating in (and presumably de-railing) the Dayton peace talks. Critics fire back that this is politically naive. In the “real” world, even the most unsavoury of leaders must be negotiated with. If justice is pursued at all, it must come after negotiated peace. Critics also argue, rather convincingly, that creating a political vacuum by isolating indicted individuals assumes that peaceful leaders will fill the void. There is also the ever-present, if rarely confronted, issue about the relationship between isolating leaders through judicial and other means and regime change. Most importantly, however, critics highlight that leaders who feel squeezed may respond by lashing out at vulnerable citizens. Rather than simply marginalizing them, warrants may embarrass and shame leaders. As has been persuasively argued by sociologist James Gilligan, shame is often a key cause of violent behaviour. In the case of Bashir, following the issuance of the ICC arrest warrant against him in 2008, Sudan retaliated by expelling a dozen NGOs from Darfur. Of course, this is not an exhaustive account of the marginalization debate. It is also not a debate which has an easy moral or political resolution. Regardless, it remains true that one of the criteria of the ICC’s success is the extent to which it is able to effectively marginalize those who find themselves in its cross-hairs. So, does the international travels of Bashir, of which the case of Malaysia is just the latest, mean that the Court is failing? There is little doubt that Bashir’s flouting of international borders is intended, at least in part, to illustrate that the Court is irrelevant and that Bashir remains one of the “normal” heads of state, able to travel freely, wherever he wishes. While it has now become clear that Bashir will not be visiting Malaysia, had he done so, he would be visiting a country which just a few short months ago declared its intention to become an ICC member-state. On previous occasions, Bashir has visited ICC states, including Kenya which is currently under investigation by the Court. But there is a limit to all of Bashir’s flouting of the ICC. Luis Moreno-Ocampo was recently asked whether Bashir traveling abroad meant that the Court was impotent. He answered to the effect that, it was not, because Bashir is incredibly limited in his movements. Bashir is not only limited in where he travels but also when and how he travels. For example, he is generally unable to attend any meetings or conferences in states where European or North American leaders are present. This is the case even in countries with close relations to his regime in Sudan. Many state leaders seek to avoid the embarrassment of finding themselves near Bashir whenever possible. 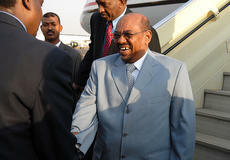 Former Brazilian President, Luiz Inacio Lula da Silva, for example, refused to sit next to Bashir at a meeting in 2009. 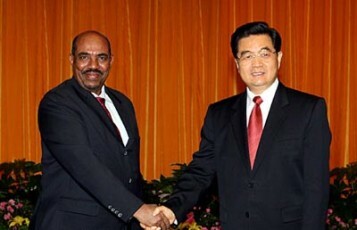 In the case of Malaysia as well as numerous others, Bashir is able to save face by having his officials as well as those of the inviting state declare that he could not travel due to “other engagements.” Of course, these other plans only become evident once international attention focuses on the issue of Bashir travelling. Bashir also often is only able to “dip in” for foreign visits, rarely staying for any significant period of time and sometimes only for a few hours. 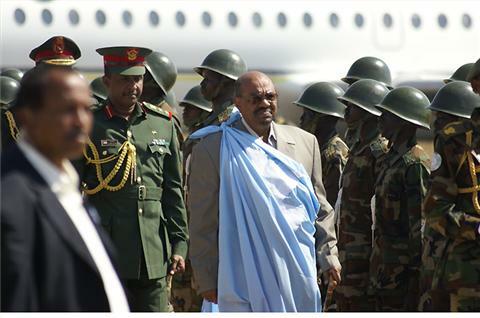 Like other international leaders, Bashir has shown that he can cross international borders; but he certainly hasn’t been able to do in the same style or manner. It is hard to think this behaviour isn’t linked to his fear of being detained. There are likely to be many more trips, invitations, cancellations and revocations ahead for Bashir. Indeed, the Sudane Tribune reports that Bashir is set to visit both Iran and China. At the very least, the recurrent theatrics of these Bashir trips act as a reminder of the potency and widespread support of the Court and its goals. Some will surely point out that this rosy way of looking at things ignores a central problem: states, including ICC member-states as noted above, continue to invite Bashir. Surely this indicates that these countries are either seeking to actively undermine the Court or will only support it when they are politically inclined. It is rather obvious that the issuance of an invitation, even if revoked, is less than ideal for the Court. But it is important to remember that the ICC exists in a state of transition. The Court, as its supporters like to say – and rightfully so, is still young. The Court, as its supporters like to say – and rightfully so, is still young. Indeed, it has only been twenty years since the international criminal justice project was revived from its deep, Cold War slumber. Many states appear to have sent official invitations to Bashir but, through less public channels, have informed Sudanese authorities that he is either unwelcome or could face possible arrest. This appears to be the case with the recent invitation to Bashir by Uganda for President Museveni’s presidential inauguration. Further, as the Court matures, it may actually be beneficial for it to have these relatively minor hiccups. As argued above, they help to consolidate support and knowledge of the ICC. The consequences of marginalizing leaders through the ICC remain unclear. As mentioned in a recent post here, rarely is the removal of a leader – whether through isolation or through exile – considered in the context of long-term peace- and state-building. Nevertheless, if the ICC wants to be judged by its ability to marginalize indicted leaders – rather than the consequences of such marginalization – and thus shift the behaviour of these leaders, it’s record is nothing to scoff at. This entry was posted in China, Darfur, International Criminal Court (ICC), Kenya, Malaysia, Peace Negotiations, Ratko Mladic, Serbia, Sudan. Bookmark the permalink.